We love brownies! Based in a village called Seaview on the beautiful Isle of Wight, you can buy 'Say It With Brownies' exclusively online through our own website. The idea behind Say It With Brownies is to offer an alternative to sending flowers, after all a yummy box of chocolate brownies is far more fun as a gift... you might even be offered a brownie if you’re lucky! Customise your packaging to suit the occasion. Our brownies are perfect to say Happy Birthday, Good Luck, Thinking of You or if you are feeling romantic, With Love – we have seventeen different occasion messages for you to choose from. 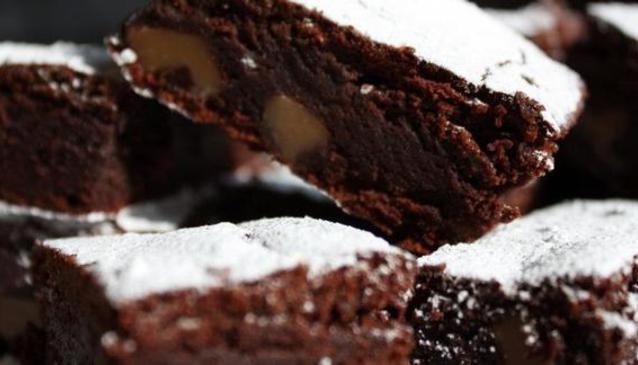 Passionate about great food and eating well, only the finest ingredients are used when making our delicious brownies to ensure the highest quality. All of our brownies are handmade and baked to order. Each box of brownies contains twelve brownies. We only use organic free range eggs. The presentation of your gift is just important as the taste, so we take care to beautifully wrap and package your brownies with a personalised handwritten message. Customer satisfaction is at the heart of everything we do so we want to hear your feedback and product reviews when you buy brownies online, please get in touch.